Karin has expertise in the financial wellness of physicians, dentists, business owners, and young professionals. She is particularly aware of the financial challenges of juggling careers, raising children and caring for families; and brings that insight to her planning process. She has been helping people to manage their wealth and investments for 15 years. She holds her license in life, health, annuity and long-term care as well as her Series 6 & 63 security licenses. Karin is a member of Physicians Nationwide, a group of qualified and experienced Northwestern Mutual Financial Representatives who specialize in serving the unique financial needs of physicians. Karin is an affinity partner with The American College of Oral and Maxillofacial Surgeons (ACOMS), an organization whose mission is to enhance surgical excellence through education and to promote fellowship amongst oral and maxillofacial surgeons. Karin has received this award from The National Association of Insurance and Financial Advisors for demonstrating a commitment to excellence, including professionalism through education and earned designations, adherence to the NAIFA code of ethics and service to the industry association. 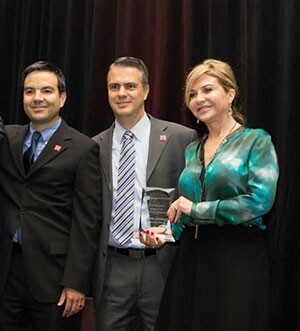 Since 2002, Karin has been an award-winning member of the Million Dollar Round Table (MDRT), The Premier Association of Financial Professionals®, a global, independent association of more than 42,000 of the world's leading life insurance and financial services professionals from more than 470 companies in 71 countries. MDRT has awarded Karin with a total of $15,000 in grants to support her work to fight against poverty in underdeveloped countries. At the 2015 annual convention, Karin spoke on the topic of "Connecting with Millennials." Since 2012, Karin has been awarded membership in this exclusive group of the top five percent of the company's more than 6,000 representatives. This recognition is for individuals who have had an outstanding year helping clients plan for and achieve financial security. This honor is given in recognition of support given to those that help promote the entrepreneurial spirit in the Dallas-Fort Worth area. The group recognized Karin for her outstanding commitment to the Hispanic community by making Northwestern Mutual an employer of choice for Hispanic talent, a brand of choice in the Hispanic marketplace and by improving the lives of Hispanics through volunteerism and leadership.